Antique Code Show So just as everyone is coming to the end of their January Dryathalon, I find the only thing I have on my mind is more beer. 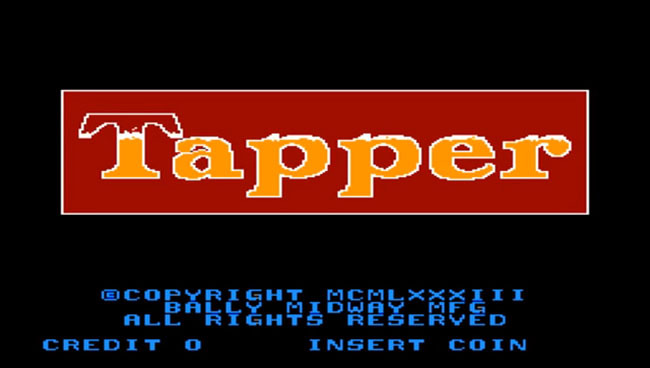 Indeed, I'm reminded of Tapper, which incorporates two of my favourite pastimes: drinking and gaming. 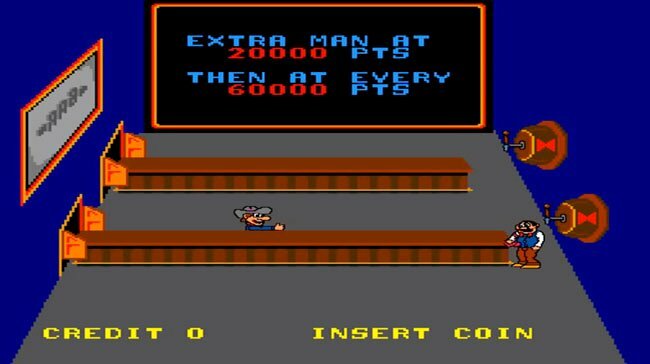 Tapper is an arcade classic and so iconic it’s even lovingly referenced in Wreck It Ralph. Challenging, full of humour and certainly fast-paced, the gameplay is based on a surprisingly simple idea: serve brews to each customer who enters your own personal taproom. There's a hitch: your taproom contains four bars that all need constant attention. For each rude and generally unruly patron that enters the bar, you must fill a glass with a drink from the kegs. Each time you serve customers a drink, you knock the customer away. In order to proceed to the next level, you have to knock all the customers away from the bar by serving them drinks. Action-packed arcade game? Certainly. But it’s also a well-designed strategy game. Unfortunately, there are multiple ways to lose a life in Tapper, one of which is smashing mugs. In much the same way as in my local Wetherspoons, shattered glasses happen way too often. The mugs get broken if there is no one to receive them on either side of the bar, and also if I am thrown an empty mug and don’t catch it before it falls. If I slide a mug down an aisle with no keenly awaiting patron available to receive the drink, it will smash. You are given two lives to start off with in the beginning of the game, but can pick up additional lives by achieving a certain number of points. Dexterity is the name of the game and some sweet timing works wonders with those unruly punks. Punks, you say? 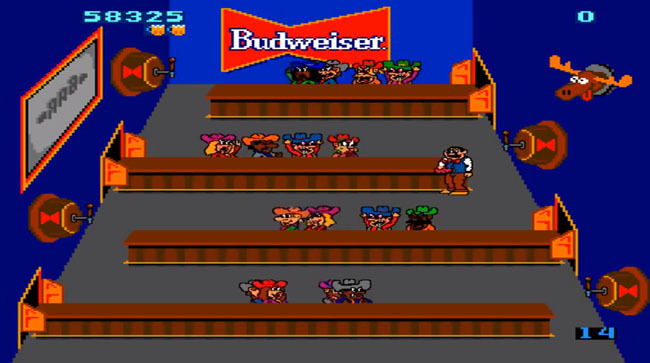 Tapper features four different stages, each with its own uniquely themed customers, entertainers and environments. For the first two levels, you serve up beverages to individuals wearing Stetsons in a saloon, straight out of Deadwood (Ian McShane would fit right in). For levels three to five you're stationed with a portable bar outside a sporting event where you serve athletes from various sports. Surely, this is detrimental to their athletic performance but considering the long-running history of alcohol sports sponsorship, it’s not completely surprising. In levels six to nine, your correspondent feels right at home as I’m situated in a punk bar. The bar includes clientele straight out of The 12 Bar; there are punks sporting safety pin accessories and coloured Mohicans aplenty, and the crusties all need a drink. 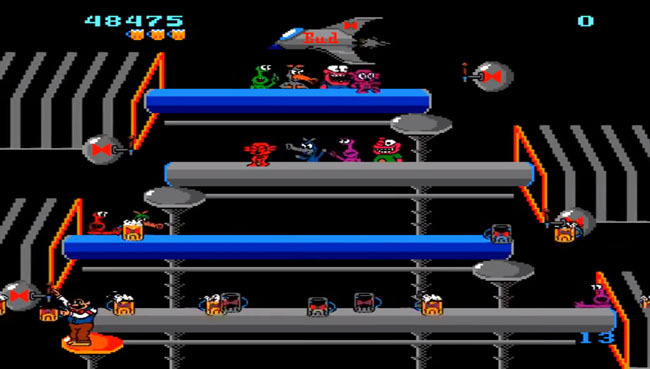 The punk stage gets increasingly challenging and making it through to the Space station levels was always very frustrating. Only a few people I know have ever made it that far. For these next four levels, just think of the cantina scene from Star Wars Episode IV: A New Hope – but drunker! Beer in spaaaace – and why not? 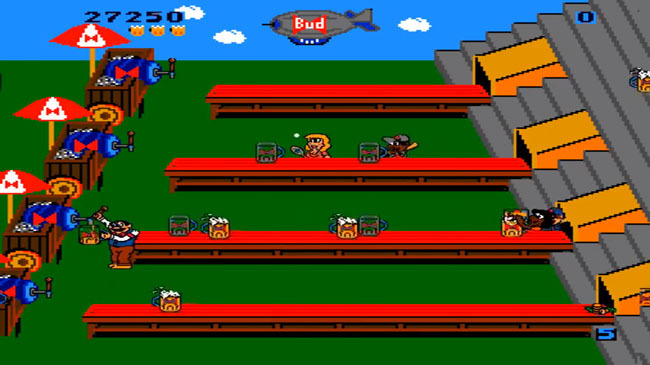 The bonus rounds were the place to pick up points and popped up after each stage was completed. Every bonus round sees a shrew-like masked man – your archetypal anarchist – dressed in black, sporting a canine flashing sneer, craftily shaking up cans of beer while your bartender's back is turned.